So these all were taken from the middle of a tour bus in 2001, when I was a freshman in high school, during a band trip to St. Looey. 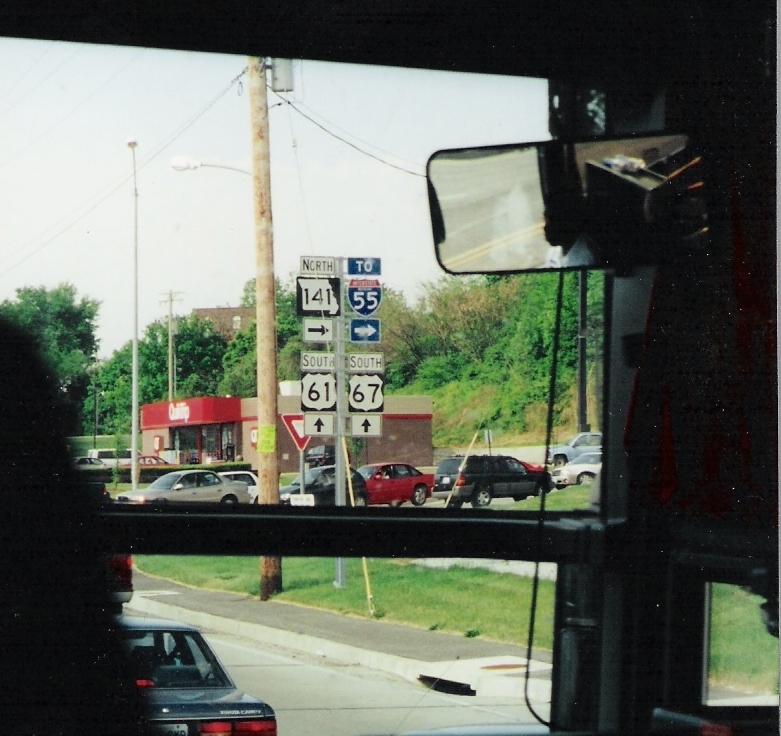 There are a few interesting ones here, even though most are not of great quality due to the fact I was on a bus. Anyway, these signs are probably mostly all gone anyway, so here are some relics from 4 years ago. 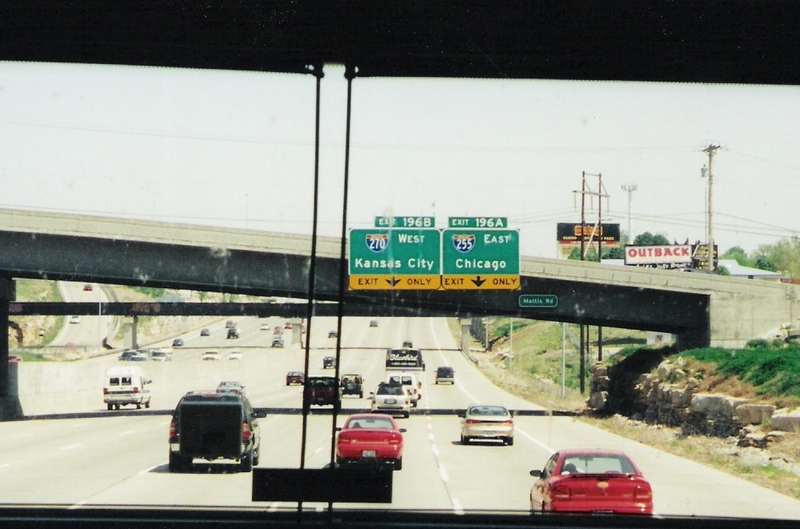 Getting onto I-64 and US 40 somewhere in the city. 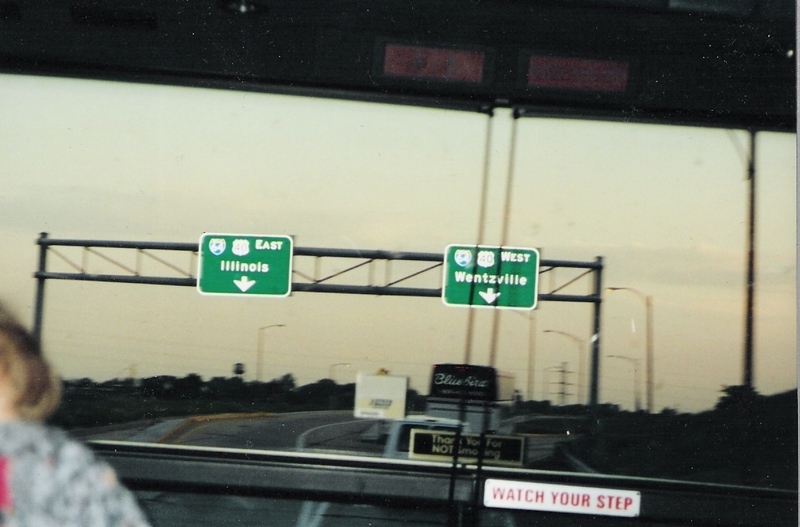 The ramp splits into the exit for Wentzville and the one for Illinois. These beautiful old signs are from outside the Holiday Inn we stayed at. 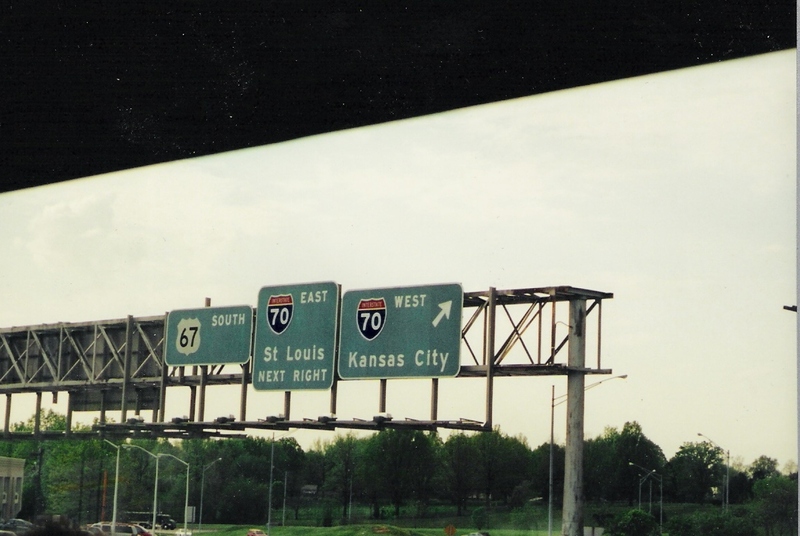 It is at the interchange of US 67 and I-70. 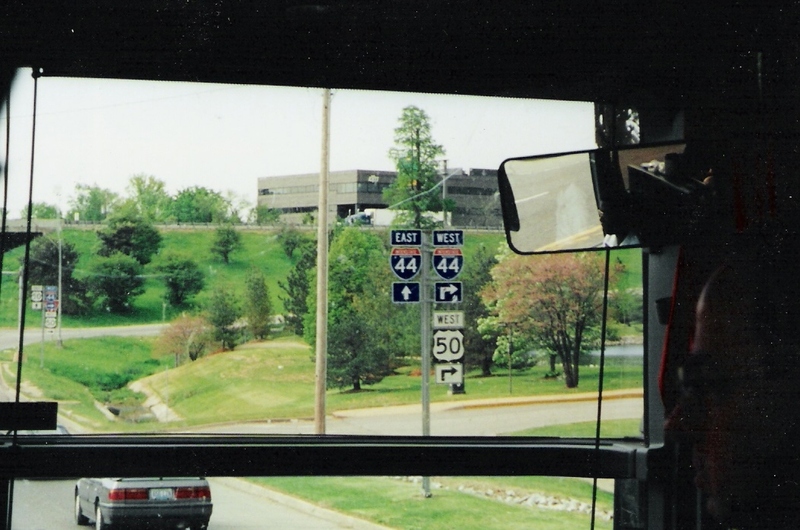 On US 67, which is Lindbergh Blvd., there are a bunch of U-Turn ramps like this one. I like Missouri's shields. Very neat. 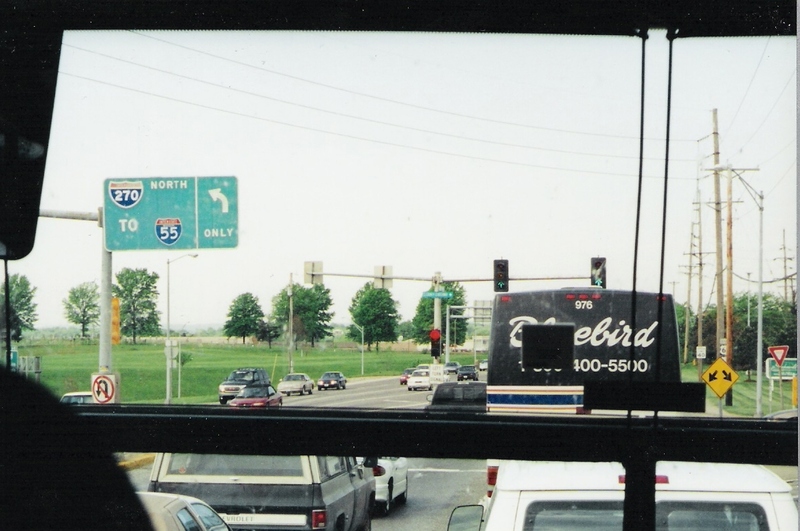 I have no idea where this picture is from, but it looks like it is at I-270 or something and US 67. But who knows. More old green faded signs in the Mehlville area. 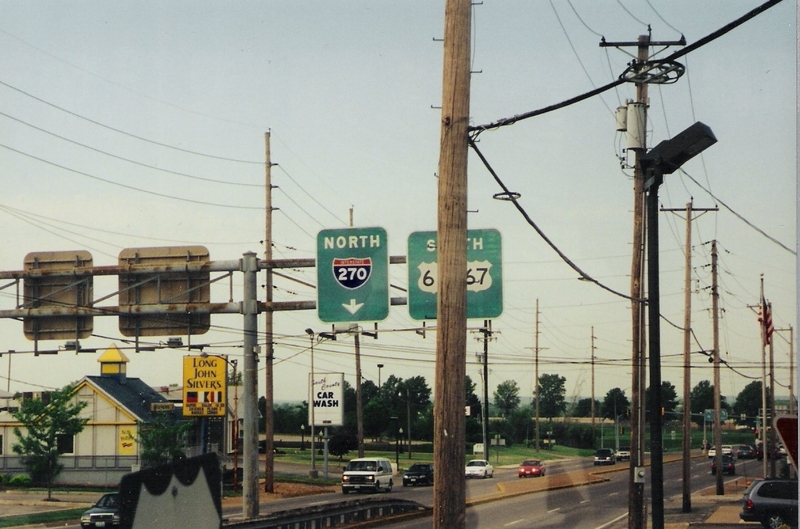 US 61 and U 67 SB near I-270. 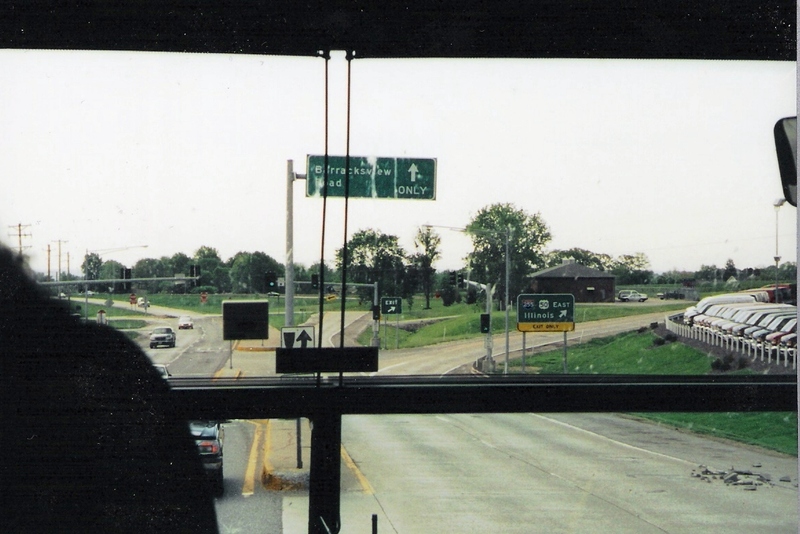 As we approach I-255 into Illinois, the bus driver realizes he's lost. 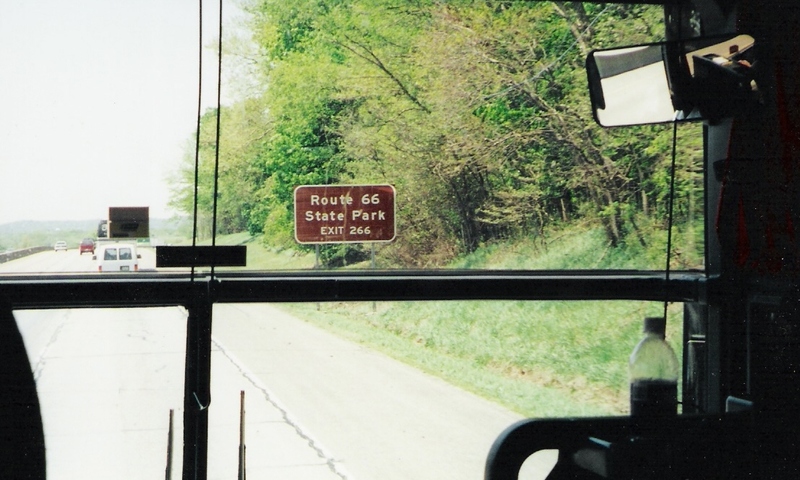 I tried shouting directions back to US 67, but he didn't listen. 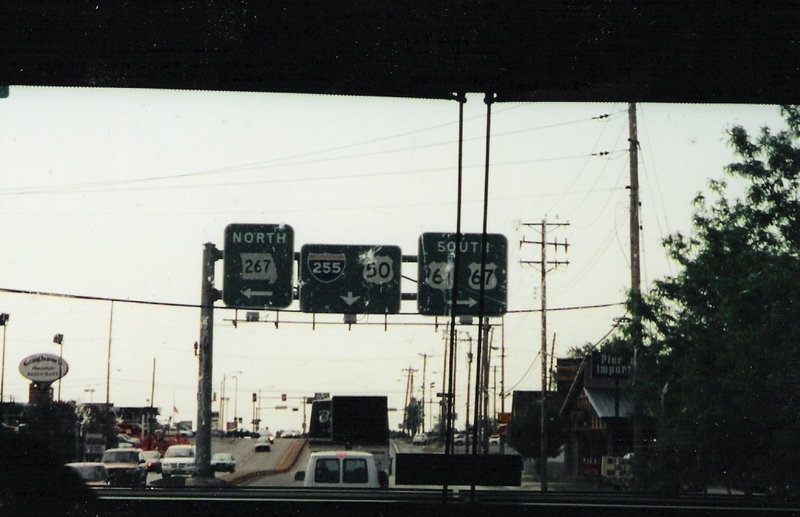 Okay, we're turned around now and back to I-270 (To I-55). Did I mention that I do indeed love Missouri's shields? Very neat. 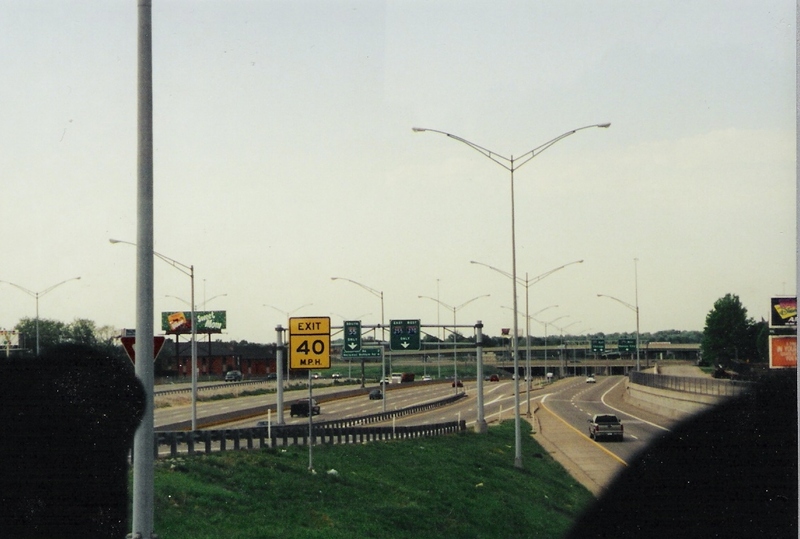 I remember being ecstatic that I was finally on a Missouri stretch of I-55. 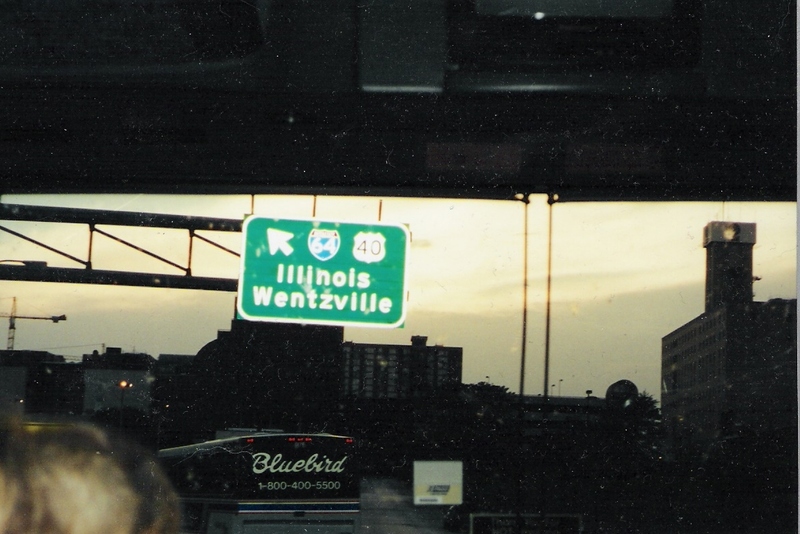 To that point, I had only been on Illinois' portion of the interstate. Whoops, we're now on I-44 WB at Route 66 state park. 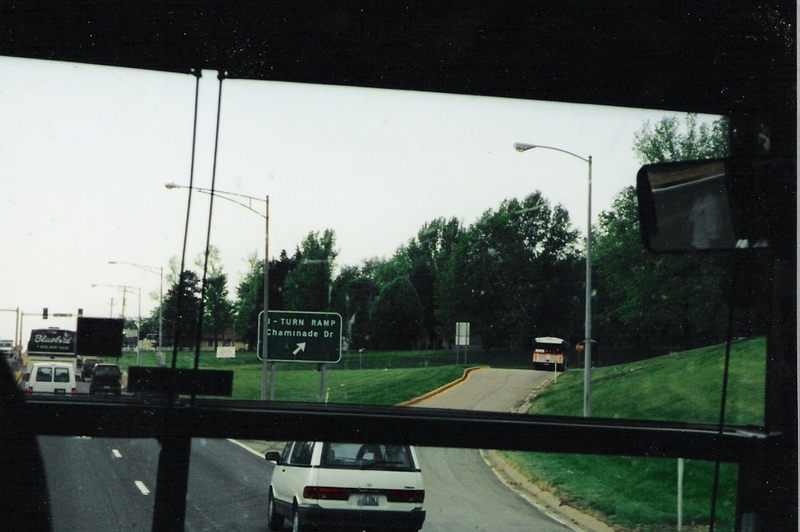 We were on the way to Six Flags, a small and dull park compared to Chicago's version.